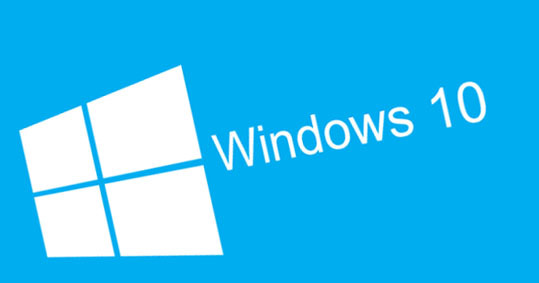 Windows 10 operating system is the newest operating system by Microsoft Company. Significant changes were made in it in comparison with the previous Windows 8.1 version. In Windows 10 most popular keyloggers stopped working. 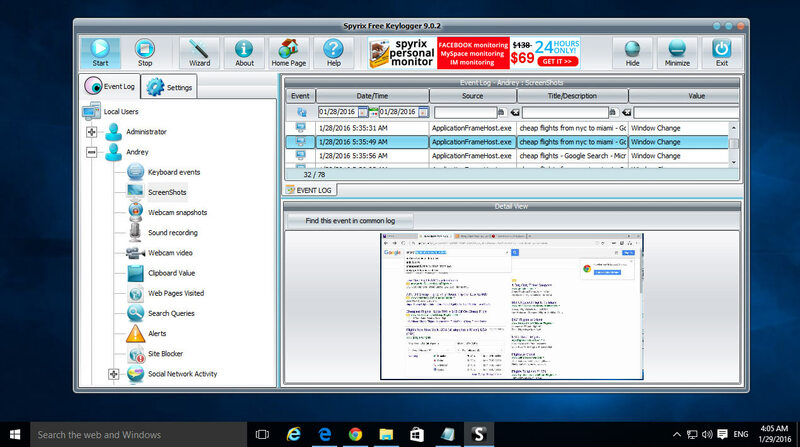 Spyrix Free Keylogger and Spyrix Personal Monitor are fully compatible with Windows 10. Keyloggers from Spyrix company were improved for full compatibility with Windows 10. Now our keyloggers are successfully working on thousands of computers with Windows 10 installed on them. 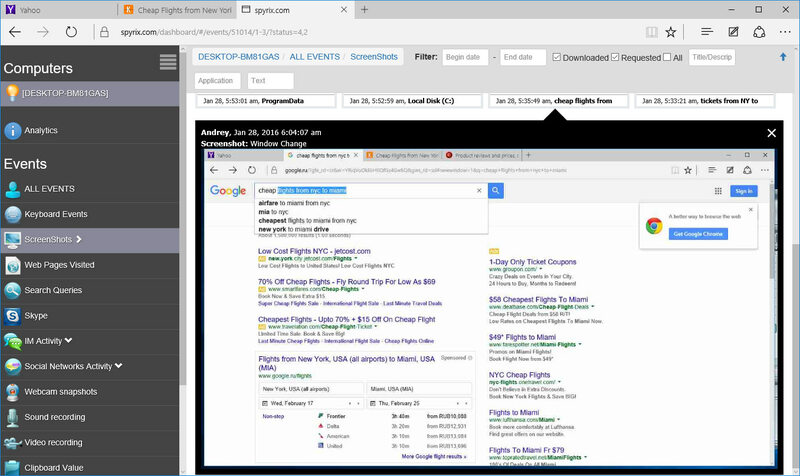 Keyloggers built in the applications correctly work with Windows 10 in all Spyrix applications including browsers, office programs, Skype, etc. The most important factor for the correct work of the keylogger in Windows 10 is a compatibility with new Edge browser that is a browser by default in Windows 10. Spyrix Free Keylogger for Windows 10 works absolutely correctly with Edge browser. 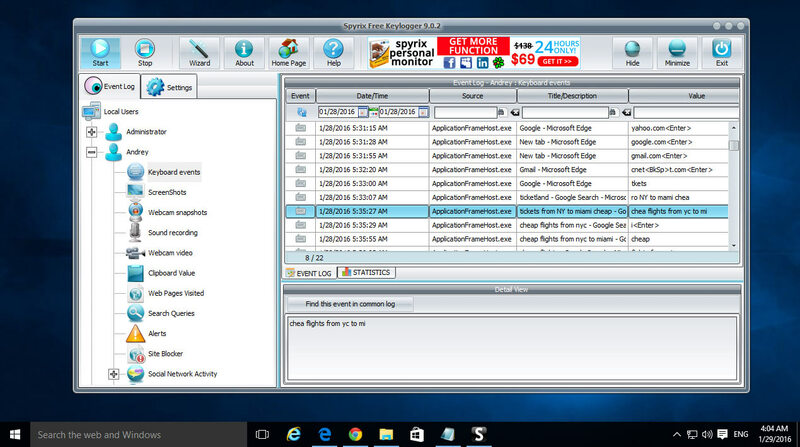 Spyrix Free Keylogger for Windows 10 free download.